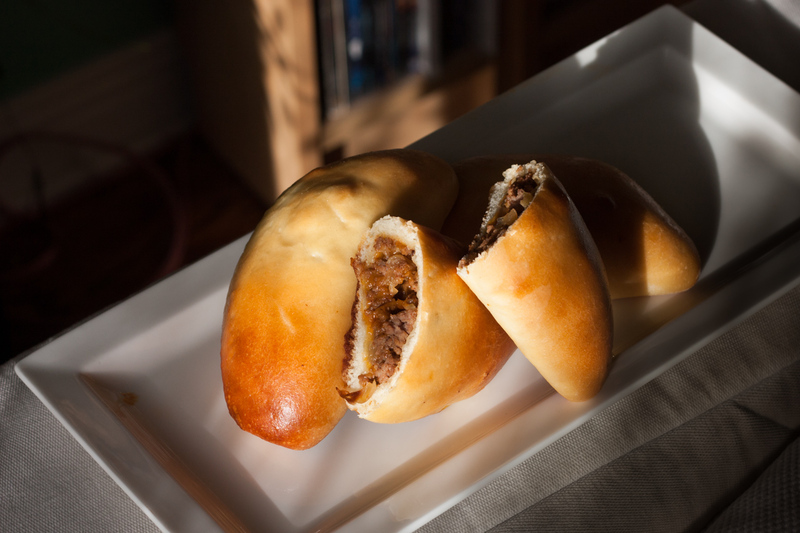 I absolutely love pirozhki buns! 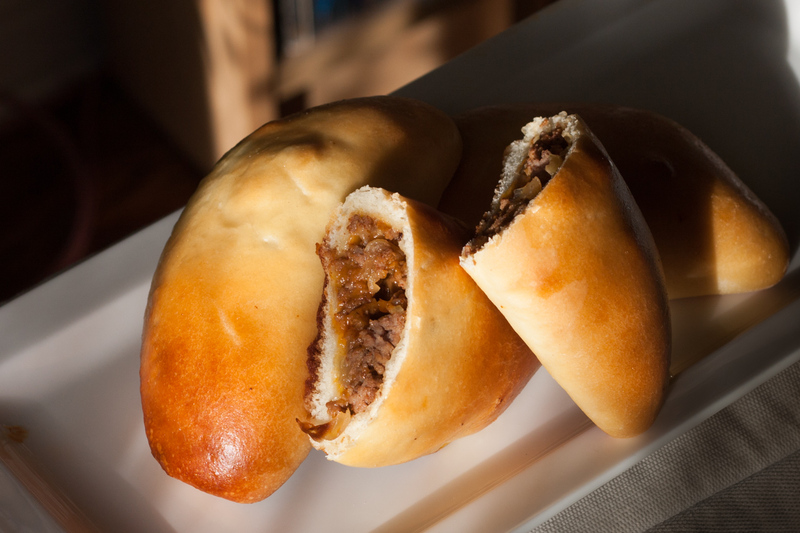 Pirozhki buns are bread dough stuffed with a variety of savoury fillings. They are popular in Russia and the Ukraine. This Pirohzki recipe is filled with seasoned ground beef and cheddar cheese. You can also make vegetarian pirohzki filled with cabbage, mushrooms, onions or chopped hard boiled egg. A few years ago, my parent’s neighbour mentioned how he loved to make homemade buns stuffed with meat and cheese. He would freeze them and then pack them up for lunch on a workday. I had never heard of that idea but loved it right away. Last week, I baked up some meat filled buns for my husband’s lunch and he couldn’t have been happier. After he polished off my first batch, he said, “When are you making more?”. 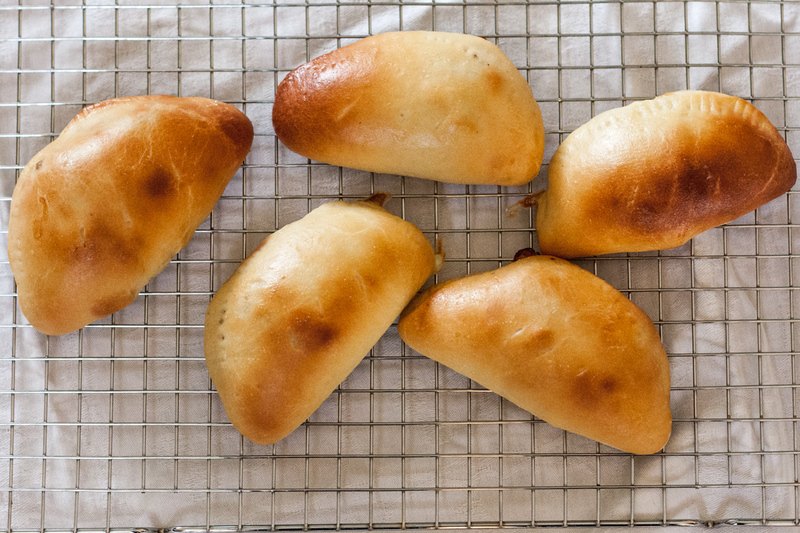 The dough for these pirohzki is made with sour cream. I love the tart and creamy flavour it imparts. You could also use regular bread dough without sour cream. Or pastry dough or puff pastry if you want something flaky. Personally, I love that fresh bread taste, as opposed to pastry. The seasoned ground beef and cubes of cheddar cheese wrapped inside the rich bread dough tastes amazing! Almost like a hamburger without the toppings – but better! 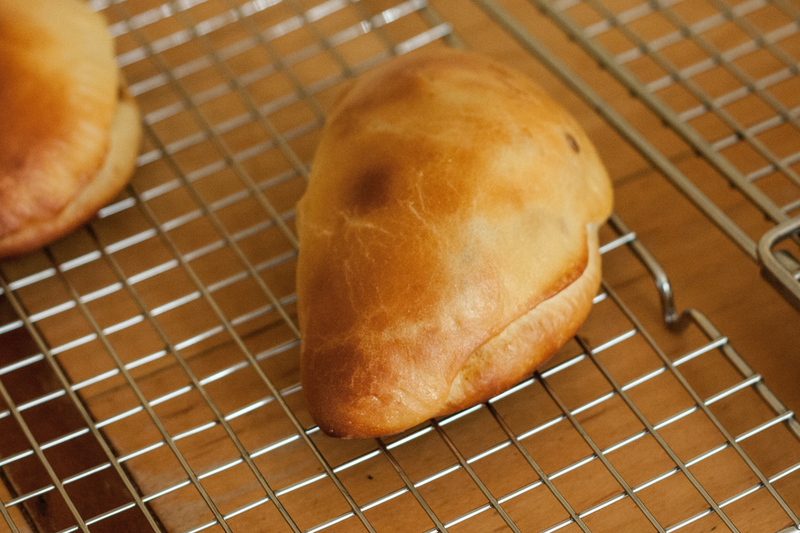 My pirozhki were about six inches long, which is great for a packed lunch. You can also make them smaller if you wanted to serve them with soup. As I researched pirohzki I discovered many similar buns from around the world. Greece makes a deep fried version called pirouskia. In Iran, pirashki is sweet and filled with custard. Estonia makes pirukad which has a meat and chopped hard boiled egg filling. In Finland, karelian pastries (open-faced egg tarts) are very popular and eaten for breakfast. And in Japan they fill their savoury buns with curry. They all sound amazing to me! I hope you enjoy these as much as we have. If you experiment with a different filling – let me know. There are so many variations to try. Pirozhki are so versatile! Dough: Proof yeast in water for 5 minutes. Add flour, salt, sugar, sour cream, soft butter and eggs to mixing bowl. 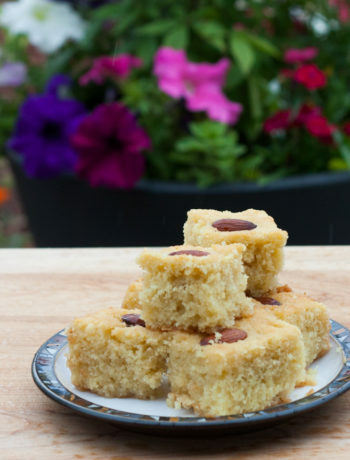 Using dough hook, mix until all ingredients are thoroughly incorporated. Rub olive oil in a separate medium sized bowl and place dough in bowl. Let dough sit for about 90 minutes, until puffed up. It does not need to be double in bulk. For Filling: heat oil in pan, add onion and garlic cloves. Saute until onions are soft and garlic is fragrant. Add chilli powder, salt and pepper and mix in. Add ground beef and cook until no longer pink. Place beef mixture in a bowl and let cool until room temperature. Then stir in cheese. 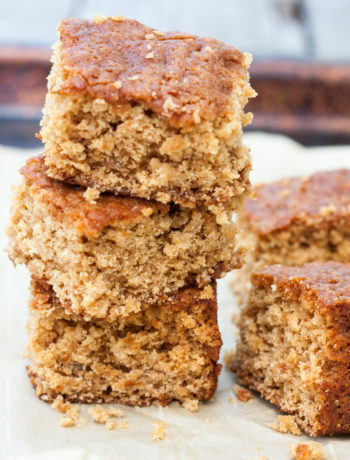 You can make this filling ahead of time and store it in the fridge until ready to use. Shape each piece of dough into a nice ball shape. 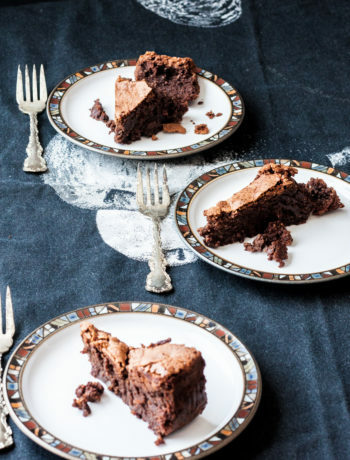 Place on a parchment lined baking tray, cover with a clean tea towel and let rest for 15 minutes. Flatten each piece of dough into a 5 inch oval shape. Brush the surface with the egg wash. Scoop up about 2 tablespoons of filling and place it in the centre. Pull the dough over the filling and seal the opposite edges. Place on baking sheet and let it rest for one hour, until slightly puffy. Preheat oven to 400 degrees F, about 10-15 minutes before the end of the rise. Brush the egg wash over the buns. Bake the buns for 15-20 minutes, until they are a nice golden brown. Don't worry if some of the seams come undone. Remove from oven and place on wire rack for about 15 minutes before eating. Any leftovers can be stored in the refrigerator when thoroughly cooled. You can eat these hot or at room temperature. Pirozhki can also be frozen for up to one month. Defrost in the refrigerator overnight.